Annelies DePaepe, 75 of Taylorville, passed away at 3:34p.m. on Tuesday, January 22, 2019 in her home. She was born on December 20, 1943 in Bergen, Holland, the daughter of Simon and Johanna DeJong. She married Louis A. DePaepe Jr. on January 23, 1965 in Pana, Illinois. He preceded her in death on April 29, 1988. Annelies worked at the Breeze-Courier and for several years in the Christian County Circuit Clerk’s office. She was a member of St. Patrick’s Catholic Church in Pana. Annelies loved all people, no matter their economic or social status. She had a love for helping people any time and any place it was needed. 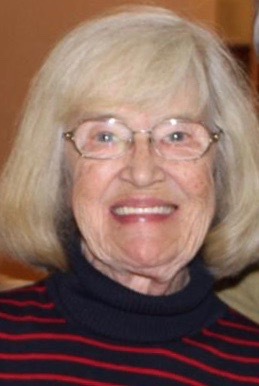 She loved spending time with her family, attending her grandchildren’s school and sporting events, and loved her 2 dogs, Lucy and Taylor. She spent much time bragging about her children, whether it was deserved or not. She is survived by her children: Louis A. “Skip” DePaepe (Sheila) of Taylorville, and Simone M. Barry of London, England; grandchildren: Louis P. DePaepe, Meredith G. DePaepe, and Jude Elsmore; brothers and sisters: Frans DeJong of Holland, Marijke Bianchessi (Pietro) of Luxembourg, Ineke Smit of Holland, and MaryLou (Robert) Spengel of Springfield. She was preceded in death by her parents, husband, and sister: Simone Schneider. The funeral service for Annelies will be held at 4p.m. on Sunday, January 27, 2019 at the Pillars Event Center in Taylorville with the Honorable John P. Coady officiating. Visitation will be held from 2 until 4p.m. at the Pillars on Sunday. Friends are encouraged to gather for a reception time during the visitation as well as following the service at the Pillars. Annelies will be cremated following the service and inurnment will take place at a later date. Memorials in her honor can be left to the Taylorville Quarterback Club and will be used to fund improvements to the High School athletic field where she loved to watch her grandkids compete. Memories of Annelies, or condolences to the family, may be left online at www.mcclurefuneralhome.com.